Apartment in Palma City – Long Term Rental – Prime Location! 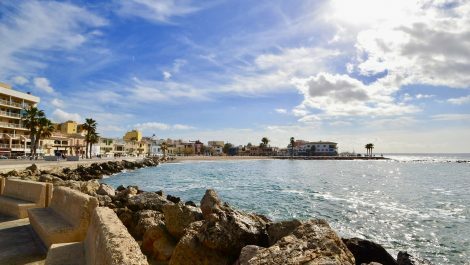 A refurbished two bedroom sixth floor apartment with views over Jaime III and distant sea views. 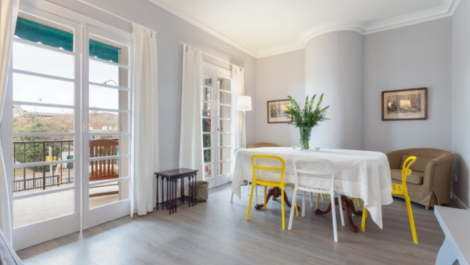 This is a prime location, with Paseo Mallorca and Jaime III and the front door, you are steps away from the sea, shopping and the gastronomic capital of Palma, Santa Catalina. Set on the sixth floor of a building with a lift, a secure property with two double bedrooms, lounge diner, kitchen breakfast room and newly installed shower room. Modern decoration and new flooring throughout, this is a bright and welcoming property that is ready to move into immediately. Offered furnished or part furnished. A spectacular 2-3 bedroom property located front line Portixol, offered for rent long term. This wonderful property has been fully refurbished, with high vaulted ceilings, and a modern fitted kitchen and bathroom, and three terraces overlooking Portixol marina. A location with sea views from the lounge, kitchen and terraces. The property is access via private entrance with a ground level terrace, stairs leading directly into the lounge and open plan kitchen. Two double bedrooms and a potential third bedroom or study, laundry room, with a spiral staircase leading to a third terrace overlooking the marina. Offered unfurnished, for a long term rental. 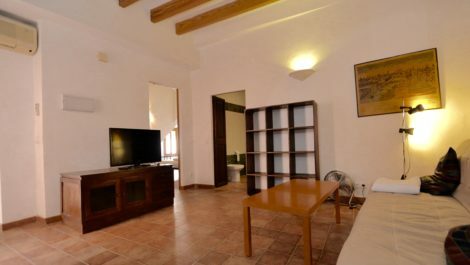 A two bedroom apartment for rent in La Lonja, Palma, offered furnished for rental. The property is modern throughout, with contemporary furniture, with two double bedrooms and an open plan lounge, kitchen and dining room. Modern fitted kitchen and shower room. La Lonja is an old town district next to Palma Cathedral, a central location easily accesible to Paseo Borne and Paseo Maritimo. A beautifully presented 2-3 bedroom apartment, situated in the sought after district of Santa Catalina, Palma Mallorca. The property is modern throughout, offered on a furnished basis, with two double bedrooms, two bathrooms, a spacious lounge, dining room and third bedroom or study. Situated on the first floor, above a shop that works during the day, and a few steps from the market. 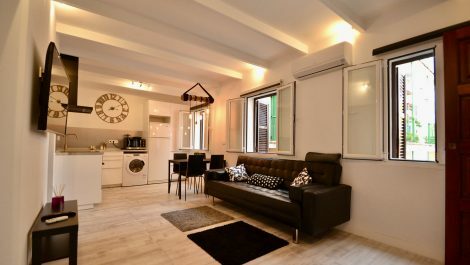 Surrounded by bars restaurants and a short walk to the sea front and Palma central shopping district. Must be seen! A luxury five bedroom apartment, with four bathrooms, offered for long term rental in the city of Palma Mallorca. The property is offered furnished, beautifully presented and decorated throughout, with sea views. Located near the sea front and Palma Cathedral, on the first floor of an apartment block with a lift. Modern decoration and furniture throughout, bright and open. One allocated parking space. Available from 18 June 2018 for long term rental. 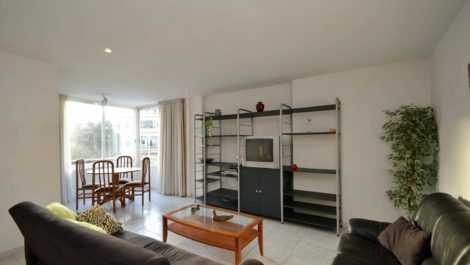 A one bedroom furnished apartment located along the Paseo Maritimo of Palma Mallorca. Located on the second floor, with lift access, this property is furnished and ready for immediate occupation. 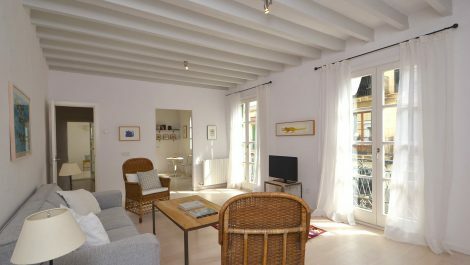 The apartment has a west facing aspect with afternoon sun, with a small terrace leading off the double bedroom with city views. A spacious entrance and open plan living room and kitchen creates a bright atmosphere. Fitted with hot and cold air-conditioning units. Although this property does not have allocated parking, there is a free car park at the entrance of this apartment block. Steps lead you down to the Paseo Maritimo, linking you the sea front, Palma marina, restaurants and bars and a 15 minute walk to Palma to Palma cathedral. 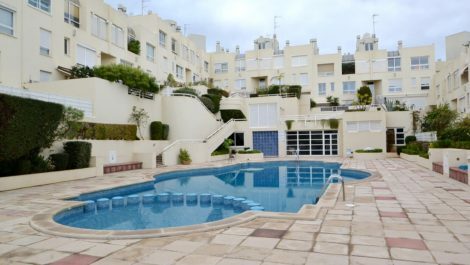 A rare opportunity to rent a two bedroom apartment in a complex with a swimming pool and parking, in the heart of Pueblo Espanyol in Palma. This is a wonderful and secure complex, with direct lift access to the apartment from the underground parking. The property consists of entrance hall, which leads onto the lounge diner, kitchen with gas hob and utility room. Two bedrooms, the master bedroom is a double room with an ensuite bathroom and access to a small balcony. The second bedroom is a single bedroom with access to a second bathroom. Gas central heating and hot water throughout the property. Communal swimming pool and gymnasium with showers. 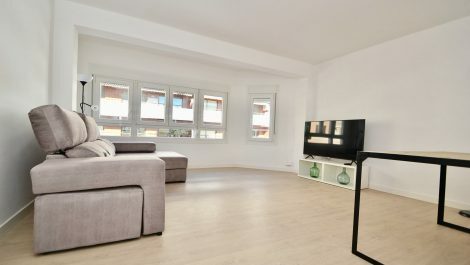 A one bedroom apartment in the heart of the sought after and trendy district of Santa Catalina, Palma Mallorca. Offered furnished, this property is steps away from the Paseo Martimo sea front, and the many popular bars and restaurants and shopping in the area, whilst being tucked away from the noise of the busy streets. Offered in excellent condition, modern throughout, whilst retaining the original charm of their traditional Mallorcan building, with exposed wooden beams and high ceilings. Situated on the first floor of a property without a lift, with a small terrace.